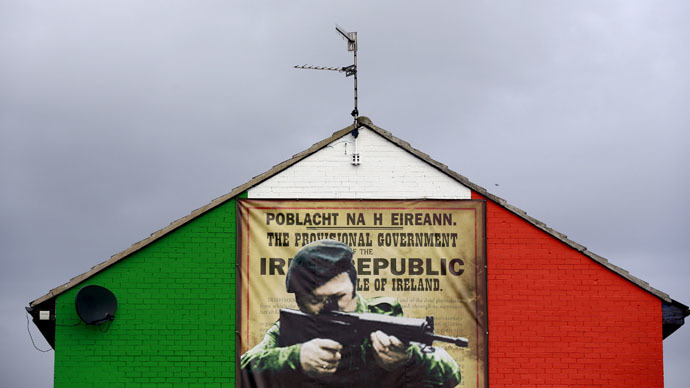 A former senior member of the Provisional IRA was killed in the Markets area of southern Belfast at around 9am Tuesday. It is reported that the victim was shot several times. Locally identified as Gerard ‘Jock’ Davison, the murdered man was in his late forties and was once a senior member of the breakaway republican group, PIRA, before becoming involved Sinn Fein’s peace efforts. He also worked on a development project in the Markets area. Davison rose through the ranks of the IRA during the 1980s to become a senior commander in Belfast. He also sat on PIRA’s military-style general headquarters staff. In 2005 Davison was questioned by police over the murder of a man outside a bar in Belfast, but was later released without charge. Davison’s family had close links to the Republican movement. An uncle, himself a convicted IRA man, was shot dead by the Loyalist Ulster Volunteer Force (UVF) in 1988, close to the scene of Tuesday’s shooting. “This is a horrendous crime and those responsible have shown no regard for anyone that could have been caught in the middle of it during the school rush hour,” South Belfast SDLP parliamentary candidate Alasdair McDonnell told the Guardian. A former local doctor told the paper, “People here want to move on from the violence of the past. This community will reject those who bring murder and mayhem to our streets. Bad sceal of fatal shooting in Bfast. Condemned by all sensible people. No place 4 such acts in Ireland.